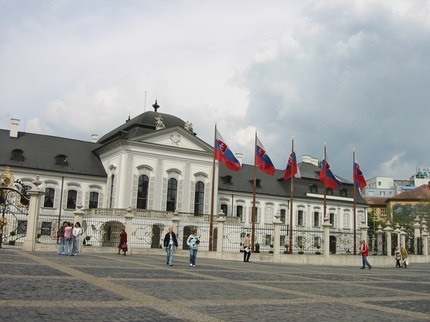 Following one of our golf trips to Prague, I decided to extend my stay and travel onto Bratislava in Slovakia for a couple of days. I caught the train from Prague which goes all the way. It was kind of odd being in the railway station in Prague as there were trains going all over Europe, with passport checks by the guards as you boarded. A new experience for me. My train stopped at the border and then there were two sets of guards to inspect the passports before the train carried on. 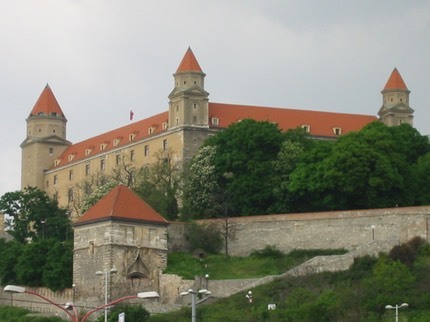 To be honest, Bratislava is like a mini Prague, in may respects, castles, the main river and so on. After 2 nights I caught the train back to Prague for one more night before catching my plane back to the UK.